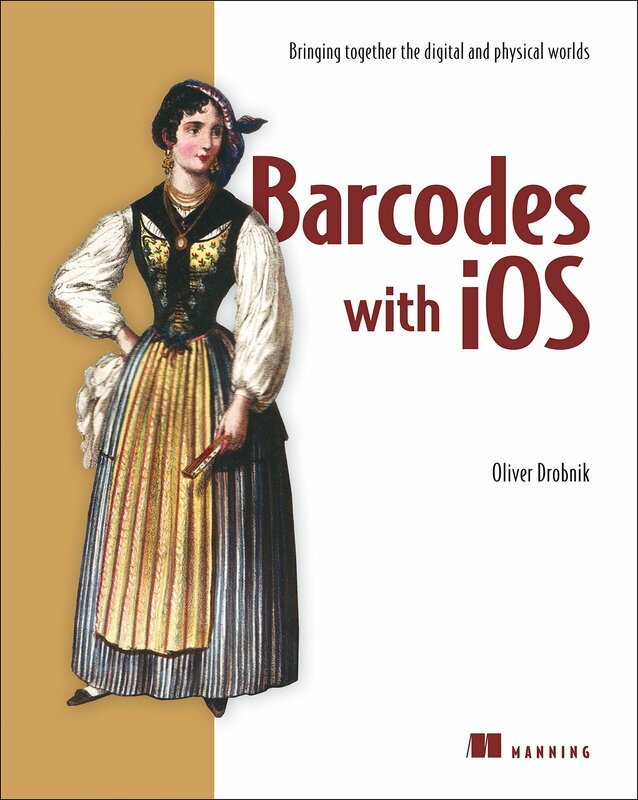 We are happy to announce that my book Barcodes with iOS is out now. The final PDF edition arrived January 21st in the inboxes of people who had pre-ordered via the Manning Early Access Program (MEAP). Update Jan 28th: Received my author copies. Added photo and unboxing video below. My journey started in October 2013, when writing started. This being my first book, I needed to learn a few things before I was ready to make my debut as author. With the first 3 chapters complete the manuscript was sent out to 10 industry experts who should comment on the quality and give an Amazon-style 5-star rating. It came out at a whopping 4,2 Stars. This caused the book to be green-lit of the preorder program. The MEAP for the book started in March 2014. The first few chapters were accessible in raw form, as I submitted them to my Developmental Editor. Who preordered the book got to see all chapters as I handed them in, but without all the polish and editing that would follow. In the following month I had worked reviewer’s suggestions into the manuscript and so we updated the 3 available chapters. This feedback was invaluable because in particular the chapters less directly related to barcode scanning needed some direction. In May 2014 we already had 5 chapters ready. The first 3 chapters got locked for pre-production at the same time. This meant that I shouldn’t edit them any more but leave this to editing and graphical professionals. On the last working day of May I handed in the final chapter… or so I thought. Mid of June was WWDC time and Apple released iOS 8. Besides removing the “7” from the book title I needed to go over all chapters and insert information about changes that would arrive with iOS 8 in fall 2014. The complete and iOS8-updated manuscript was on the MEAP on July 8th, a mere month after WWDC. At this point a second round of reviews happened for chapters 4-7. This time I improved my “how would you rate it on Amazon score” to 4,6 stars on average. I call this a good basis for the polishing that would follow. Publishers call the time when you are writing “pre-production”. As soon as you lift your fingers from the keyboard the book enters the “production” stage. Then the experts really take over. A tech proofer goes over your source code and technical details with a fine tooth comb. A native English speaker adjusts your language to sound native, too. A graphical designer takes your Omnigraffle vector art and adjusts it to fit the usual Manning style. This day the book went to the printing presses. So now we know that it takes about 3 weeks to produce physical instances of my Book class. Erica Sadun, who—four years ago at a developer conference in Seattle—put the notion into my head that someday I could be a book author too. When I got the opportunity to provide technical feedback for several of her books, I found that my commentary was both welcome and highly relevant. This has inspired my writing ever since. Scott Meyers, for asking me on behalf of Manning if I would consider writing a book. He supported my idea of writing a “vertical book,” slicing through several different technologies, as opposed to writing a “horizontal book,” covering only a single technology. I could have chickened out at several points before we signed the book contract, but Scott’s trust in me—which was entirely based on a few blog articles I had sent him as samples—kept me in the game. Bert Bates at Manning, who taught me how to shift from writing blog articles to designing instructive book chapters. I had arrived at my own “tutorial style” over several years of writing blog tutorials at cocoanetics.com, and initially there was doubt that my style would work for a Manning book. Bert believed in me and convinced the powers that be that my style was perfect for an advanced-level Manning book. He also gave me a ton of instructional tools that I am using to this day, even in blog posts. Sean Dennis, my development editor at Manning, who guided me through giving the book a professional structure and feel. Often he would play dumb and nagged me to explain something better. At first I cringed, but after having made the changes, I always found that Sean’s suggestions had made the book much better as a whole. It was also Sean who suggested I use Discogs for the networking chapter’s sample app, being an audiophile himself. The people who contributed to BarCodeKit: Andy Qua, Jaanus Siim, Brendan Duddridge, and most importantly Geoff Breemer. 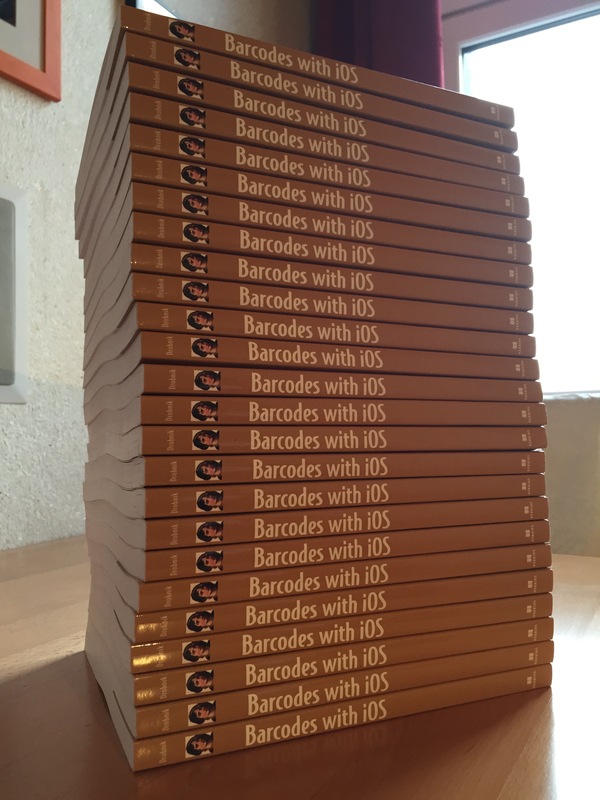 BarCodeKit is the key ingredient that made chapter 5 possible. I also thank Geoff Breemer for migrating this book’s sample source code to Swift. This book’s code listings are all in Objective-C, but because of Geoff’s work you get the free bonus of seeing how it looks in Swift, too. All the other people at Manning who helped polish this book into its published form, in particular Andy Carroll, my copyeditor, and Katie Tennant, my proofreader, for making me sound like a brilliant native English speaker. Also my technical proof-reader, Gregory Hill, for helping me eliminate several embarrassing mistakes in the source code. The following reviewers, who read the manuscript at various stages of its develop- ment and who provided invaluable feedback: Arif Shaikh, Brent Stains, Chris Davis, Emre Kucukayvaz, Gavin Whyte, Jim Amrhein, Jim Matlock, Johan Pretorius, Mark Janssen, and Subhasis Ghosh. René Swoboda and Roland Moser, who believed in me when I pitched them the ProductLayer.com product information service for a startup, the idea for which came to me as a result of researching barcodes. Their enthusiasm made me realize that I wasn’t alone in my vision: mobile apps that interact with physical products via bar- codes will be highly relevant. My father, Klaus Drobnik, for passing on to me a passion for engineering, structured analysis of complex topics, and teaching. And, of course, for all the other things he did for me, growing up, that I could never thank him enough for. In his role as head of our family business, I thank him for having my back while writing has kept me from contributing to our company’s bottom line. Last but not least, I wish to thank Apple, Inc. The iPhone SDK and the subsequent App Store revolution allowed me to reinvent myself as a full-time self-employed software developer and blogger of technical tutorials. And now I’m even a published author! Apple enabled me to boldly go where I had never gone before. As an author you are entitled to 25 copies of the book for your own personal use. For the immediate future I will just leave the stack on my dining room table and marvel at it. Later I might be handing these out to several distinguished individuals. I still don’t really believe it, 15 months later. Is it really over yet? Maybe this will change as soon as I hold an author copy in my hands. While working on the book for all this time I was unable to take on client work. Thankfully I was able to sustain myself from the other income I have from my company. Now that the work is over I am looking for a new contract, something where I could sink my teeth into for around 4-6 months. Ideally something to do with either barcode scanning since this is where I am an expert now.